Many public- private partnerships are characterized by lack of coordination and cooperation and by partners pursuing their own aims in their own way. This leads to problems like power games, conflict, internal competition, duplication and gaps in delivery, competition for and waste of resources, as well as conflicting understanding of client needs and therefore poor goods and service delivery. The course explains how these and other problems (dis)solve by transforming the partnership through redesigning it, making an implementation plan and implementing the design accordingly. The design guides the partnership to function in new ways which do not recreate the problems and lead to a more desirable future. It outlines the key concepts of (w)holistic thinking, including the principles associated with the seven forces of organization (environment, ethos, aims, process, structure, governance and substance) and the generic organizing principles that co-produce all systems. It applies this knowledge to the design of a partnership as a (w)holistic learning organization. A learning organization is structured as a three-dimensional matrix. This structure ensures the optimal interaction of all functions within the organization. Since each function is linked to its own functional environment, the organization becomes a matrix that is interconnected in a multi-dimensional way with its environment. A learning organization is held together by a mission, self-referring ethos and coordinating governance. The matrix structure channels the flow of information and activities through strategic performance and knowledge management. A learning based approach to strategic performance management leads to the continuous development of the organization and each of its functions. Entrenched environmental awareness allows them to change in harmony with their environment. In this way they keep producing relevant and efficient outcomes according to client needs. The matrix based performance management also drives the continuity of coordinated strategic intent into operational excellence. Since an organization consists of different functions, the course also covers project, function and process system design in overview. And it deals with the theory and methodology of implementation planning and change management and stakeholder facilitation. Participation in the Biomatrix Public / Private Partnership Design Course will transform you into a (w)holistic thinker based on biomatrix systems theory. You will understand the theory and methodology of complex problem (dis)solving, as well as system (re)design, development and change in general and that of an organization specifically. Throughout the course you are guided by template-based assignments to apply this knowledge to the redesign of your partnership into a learning organization as a case study. You will also learn about and make an implementation plan for the design and a change management plan for facilitating the change. act as a learning facilitator and change manager in an in-house delivery of the Biomatrix Organization Transformation Programme to your partnership organization in order to transform it. 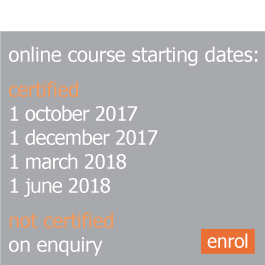 The course consists of five e-learning modules. During each module, the participants apply the learned theory in template-based exercises to their case study system and reflect on the theory and methodology. This module explains the key concepts and methods of systems and complexity theories in general and of Biomatrix systems theory specifically. Self-reflection assignments promote a (w)holistic view of the world and of sustainability. This module explains the theory and practical steps involved in complex problem analysis and dissolving them through ideal system redesign. Assignments guide problem analysis and brainstorming of solutions for the case study system. This module explains the matrix design of entity systems based on seven organizing forces and their organising principles. Assignments guide the ideal redesign of the case study system. This module explains how to make an implementation plan for an ideal design. Assignments guide the implementation planning of the ideal case study design. This module explains the theory and practical steps involved in managing the transformation of a system with stakeholder participation and alignment. Assignments guide the change management planning for the case study system transformation. The Public / Private Partnership Design Course is one of several Biomatrix Design Courses which educate senior managers and decision-makers in the theory and methodology of sustainable system (re)design and complex problem solving. The courses are based on Biomatrix theory which explains how systems are organized, change and develop. The average duration of the course is 10 months based on 1 day per week (i.e. about 42 days), to be completed within a year. However, some participants could take considerably less or more time to complete the course, depending on their mode of study, work experience and nature of case study. We offer two pricing options for the self-managed course. The content and assignments remain the same. $1100 – includes certificate from Stellenbosch University, feedback from BiomatrixWeb, prescribed starting dates. $800 – no feedback, no certificate, no prescribed starting dates. On successful completion, the participants may receive a certificate in Public / Private Partnership Design from Stellenbosch University, South Africa. No formal qualifications are required. Ideally the participants have a tertiary education as well as management experience. Our courses can also be delivered in-house. Please contact us to discuss your needs. Dr. Elisabeth Dostal is the developer and facilitator of the online Courses for Sustainable System Design based on Biomatrix theory (which she co-developed) and the Biomatrix design methodology. Her areas of expertise are futurism, systems thinking and strategic management. She acted as a management consultant to business organizations, NGOs and government departments on issues of organization development and restructuring, as well as strategy and public policy design. Stuck? Contact us at admin@biomatrixweb.com.